This program is designed to show you what you can do to prevent injury and what to do just in case an accident occurs. Now before we go any further, it's important to take a quick look at the structure of your hand and wrist. Grinders And Abrasive Wheels - They can be portable grinders or fixed bench grinders. Describes carpal tunnel syndrome, how to prevent CTS, and what employees can do to reduce the effects of this debilitating condition. Advanced Hand And Power Tool Safety - The key thing to remember is that although tools are extremely useful they can also be dangerous if not used correctly. Organizations such as Underwriters Laboratories, Consumer Product Safety Commission, OSHA, and ANSI have made major strides in evaluating and testing tools in an effort to make using tools safer. Abrasive Wheels Grinder Safety (Non-Gory) video discusses how lacerations and foreign body injuries often occur, the use of gloves and safety regulations required. An abrasive wheel grinder can be found in most maintenance shops and in some cases in manufacturing. 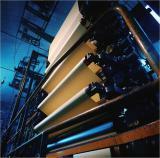 The benefits of working with compressed air are considerable. Pneumatic-powered tools using compressed air are: nail guns, air ratchets, chisels, saws, specialty fasteners and jack hammers, to name a few. 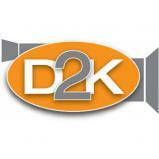 Management must ensure all compressed air components meet safety regulations. Advanced Hand and Power Tool Safety - The number one rule for preventing injury when using hand and power tools is to read and follow the manufacturers� manual that came with your tool or equipment. The key thing to remember is that although tools are extremely useful they can also be dangerous if not used correctly. Good introduction to hand and power tool safety. 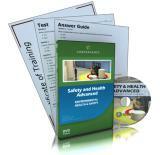 Explains procedure for tool safety, housekeeping, and other safety procedures. Great refresher course. Hand And Power Tool Safety - Hand and power tools cause thousands of injuries every year. Safety must be exercised every time anyone uses hand and power tools. 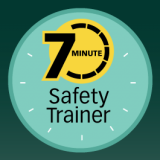 Safety awareness is of vital importance, so let's begin the program with some basics. 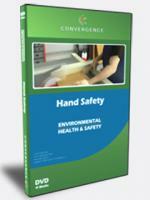 Hand And Power Tool Safety � Hand and power tools cause thousands of injuries every year. Everyone uses hand and power tools at work and at home, but even the simple screwdriver causes over a hundred deaths each year. It's difficult to get excited about hand and power tools, but the injury rate tells us safety is extremely important when using this equipment. When working with hand and power tools, your safety attitude and common sense are an important part of your job. This program focuses on the how to use these tools safely.